The art of storytelling can be powerful. A story can pass life lessons from one generation to another. Tales can help people remember information. Stories bring words to life. There have been thousands of great storytellers throughout time. You don’t need to be Chaucer or one of the Brothers Grimm to use stories to make your content come alive. Use stories wherever possible, and your information will become engaging and entertaining. It will also be memorable. Stories help your listener escape his everyday life. A tale that is told well will transport your listener to another place and time through their imagination. You help them forget their problems. When you tell stories in your podcast, you give your listener hope. Tales of success help your listener see what is possible. Tragic stories make him thankful for what he has. Stories that simply make your listener think help her better understand something. Stories that contain wonderful, vivid words create fantastic pictures in the mind of your listener. When your listeners are intently focused on your story, they forgets they are listening to a podcast. They are so engrossed by your story, everything around them disappears. Your content becomes their sole focus. People trust people they know. If you’re selling a product or service, people buy from people they trust. If you hope to make that sale, you need to create strong, meaningful relationships with your audience. Stories will help you develop those powerful relationships. When you tell stories about yourself and your experiences, you reveal things about yourself. Revelation is a natural part of storytelling. Self-revelation allows your listener to get to know you. Your listener spends time with you every week as you tell him more and more about yourself. Then, even if you have never met him, your listener feels like he has known you for years. You’re building a relationship without ever meeting. Stories of self-revelation help those friendships develop. Stories can be compelling, humorous, tragic. A great narrative will make your audience marvel, laugh, or better understand something. These strong feelings make you human. When you evoke emotions in your audience, your listeners feels like you are just like them. Your stories reveal real-life experiences. You are telling your audience that you’ve had similar things happen in your life. They can relate. The Grimm Fairy Tales are so memorable, because they are lessons disguised as wonderful stories. Over 200 lessons were included in the books from the Brothers Grimm. Cinderella, Rapunzel, and Hansel and Gretel are all stories that are remembered well nearly 200 years after they were written. Stories link words to pictures in order to make the words memorable. Great stories will make your information memorable as well. Use the tale of your latest saga to make your point. It will help your listener remember your content. Your listeners can live vicariously through you when you tell them a great story. If you tell you listeners how you made a fortune with your information, they get to experience your joy almost as if they made the fortune right along with you. Your words help create the imagery in their minds. Help people dream. Create fantastic stories that people can see in their own theater of the mind. Paint great pictures with your words. Your listeners will see your story in their heads. Stories allow your listeners to feel they joy without experiencing the risk. Your audience can walk through your hardships and feel the elation as you survive without actually living the pain. Delightful stories entertain listeners, because they can experience so much in a short period of time through you. Your podcast is 30 minutes long (or maybe even longer). That’s quite a bit of time to spend with someone. Will your listener want to spend 30 minutes in a car with you each week? When you record a podcast, you are asking them to do just that. Your listener will spend meaningful, personal time with you each week. You better do all you can to create a strong relationship with your audience. Get listeners to like you. When you reveal things about yourself through your stories, people will decide if they like you or not. Be real. Don’t force your story or change the details simply to make people like you. Tell the truth. If you bend the truth this time, you may forget next time. The truth will always come out. When it does, your relationship will be tarnished for good. Reveal the truth. People will see you as a real human being. They will get to like you for who you are, flaws and all. The friendship will develop. Next thing you know, you’ll be taking a 30-minute car ride with them every week. Stories can make that happen. Stories are powerful tools. They help your audience escape their problems. Anecdotes help your listener get to know you. That’s where relationships begin. Your tales will show you are human. You are a real person with real flaws, just like your listener. Stories will make your information memorable, by drawing pictures in the mind of your listener. Your audience can live vicariously through you when you tell them about your experiences. When you create that friendship, your listener will be willing to take that 30-minute car ride with you every week. 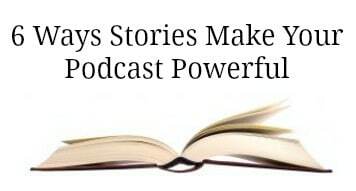 Begin creating great stories today, and make your podcast powerful. 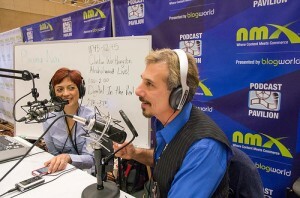 It’s Podcast-a-Palooza here at NMX this week! Our Director of Podcasting, Cliff Ravenscraft, has been hard at work preparing for NMX 2014, and the Podcasting Track is on track to be even better than last year, if that is possible. Kenn Blanchard is a former pastor and a gun rights activist who has been podcasting since 2007. Jason Casbassi’s “The Walking Dead ‘Cast” is the the #1 Walking Dead podcast out there. It’s fueled by passion, enthusiasm, and braaaaaaaaaains. Rob Cesterino was a contestant on Survivor and now podcasts about it. Chris Christenson is a top travel podcaster who’s doing both video and audio podcasting. Darrell Darnell began podcasting about Fringe in 2008 and hasn’t looked back. He is now involved in several other fan podcasts as well. Erik Fisher’s podcasting, social media and productivity passions come together on his “Beyond the To-Do List” podcast. John Dumas hosts “EntrepreneurOnFire” – and we think he’s on fire too! Jared Easley teaches others how to manage their fear with his “Starve the Doubts” podcast. Pat Flynn started as a blogger, and now has evolved into a successful podcaster as well. Is there anything this man can’t do? We think not! Jeremy Frandsen and Jason Van Orden are a double threat. They co-host Internet Business Mastery, the #1 podcast on Internet marketing since 2005. Rob Greenlee began “WebTalk World Radio Show” in 1999 and turned it into a podcast back in 2004, making him one of them most experience podcasters in the world. 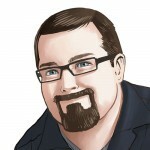 Dave Hamilton, the host of “Mac Geek Gab Podcast,” is your go-to guy for anything Mac. Dave Jackson from “School of Podcasting” is the first person to podcast about podcasting. Daniel J. Lewis hosts an entire network of podcasts, on everything from Once Upon a Time to using Audacity. Rick Mulready’s Inside Social Media podcast features social leaders from some of the biggest brands in the world. Amy Porterfield is a Facebook expert and no stranger to the NMX stage. Did you know she’s a podcaster now too? 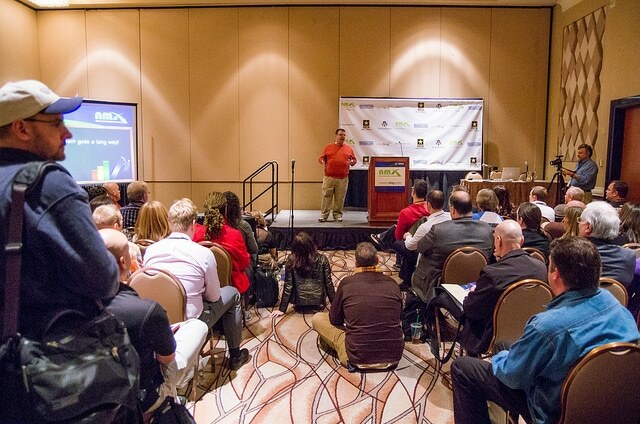 Cliff Ravenscraft never disappoints with his sessions…which is why he’s now the NMX Director of Podcasting. Mike and Izabela Russell own the audio production company Music Radio Creative which now serves customers in over 77 different countries. Scott Stratten was named one of the top 5 social media influencers in the world by Forbes.com. Whew, what a list! You can see more about all of the podcasting speakers, as well as other speakers we’ve announced, on our 2014 Speaker Page. Or, head to our Podcasting Page to see just podcasting speakers and other information about that track. You can learn more about all of these sessions/panels on our Podcasting Page. We’ll be adding even more sessions and speakers over the next few weeks. The Return of the Podcasing Awards! Last year, Todd Cochrane brought his Podcast Awards to NMX, and it was a smashing success, with so many podcasters and fans attending that we ran out of seats and people were standing along the walls! We’re happy to announce that the Podcast Awards are coming back. 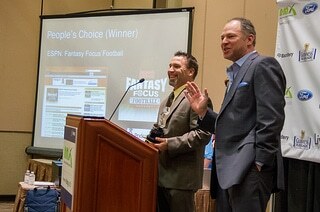 We hope to see you at the 9th Annual Podcast Awards, which are open to all NMX attendees. Mark your calendars – nominations for these awards open on October 1. Want an email reminder? Click here. The Return of the Podcasting Pavilion! NMX 2013 was also home to the “Podcasting Pavilion,” where podcasting speakers and attendees could broadcast live from the exhibit hall floor. It was extremely popular, so we’re bringing it back for NMX 2014. 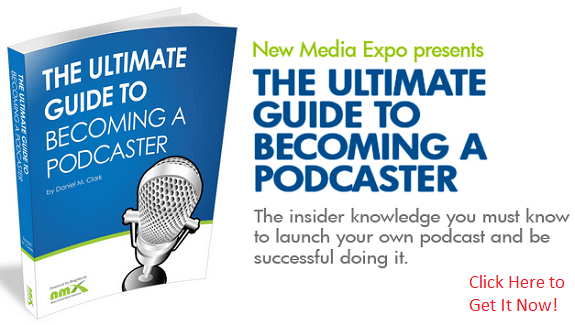 Interested in learning more about podcasting live from NMX 2014? Click here. Here at NMX, we’re committed to bringing programming, networking opportunities, and recognition to podcasters. How are we doing? Leave a comment – we’re love to hear from you! Of course, if you haven’t already, there’s no time like the present! You need to register for a pass in order to attend our keynotes, sessions, networking parties, and the Podcasting Awards. For this week only, we’re offering a discount code specifically for podcasters and podcast fans. 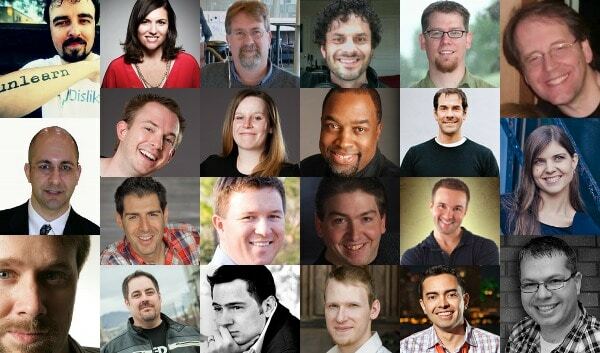 Use PODCAST20 to save 20% on your ticket to NMX 2014. So what are you waiting for? Register today! We all know that a podcast is a great way to promote your brand. The sound of your voice allows an audience to really connect, your personality is conveyed and arguably, your message is absorbed that much easier. Those committed to producing a quality podcast understand the urgency to stay relevant and fresh. The only way to keep and build an audience is to pay them back with new insights and perhaps even different perspectives. One way to achieve this is by hosting a guest on your podcast. The question now is, how? It is not necessarily hard to pick out your podcast’s dream guest. This first step should be quite easy for you as ideal guests have something obvious and substantial to add to your podcast’s overall conversation. Now, how can you turn that feeling into something mutual? Provide a win-win. Whether you are pitching a PR manager or your guest directly, keep the main focus of your request on the benefits for them. An audience-reach of X, which falls into the demographic of Y, and includes people who are desperate to learn more about your Z. Also, see if you can find out the current happenings of your guest’s career (i.e. do they have a blog, did they just come out with a new book, etc.?) and detail how you would plan to cross promote. Your invitation is your chance to pitch, so you’ve got to really sell your podcast if you want to land that special guest. Be sure not to assume that your guest-in-mind has even heard of your podcast. With this in mind, position your pitch to display your attitude and exemplify your unique voice; this is your chance to let them know what you’re all about. Another great selling point is if you can mention guests that you’ve hosted the past. This will help your invitation holder better understand any commonalities between each of your brands. At this point there’s a chance that you’ve peeked your potential guest’s interest. Push them over the edge by giving them a heads-up. Attach a list of sample questions/discussion topics you’d hope to explore. This way your guest can get a feel for your style and the types of discussions at hand. Express your flexibility in terms of working around their issues or necessary demands. The beauty of a podcast is that everything can be done digitally, so don’t let distance or schedule constraints hold you back. Close your invitation with a link to your proudest podcast to date. When trying to reel the best in, in only makes sense to provide the tastiest bait. What tips do you have for scoring a killer guest for your podcast? Share with a comment below. Lots of people are blogging. More and more people are podcasting. But video? There are still relatively few people consistently producing quality video content. If you’re already a podcaster or thinking about starting a podcast, consider a video element. Video podcasting isn’t much different from audio podcasting, and adding this visual element can open you to a world of new listeners. We covered video podcasting in the past on this blog after Perry Lawrence presented a session on this topic at one of our past events. But for even more knowledge, check out what the brilliant bloggers (and podcasters) below have to say about video podcasting. I like this post because it is a great overview of video podcasting for beginners, and also includes some tips for more experienced podcasters. He writes, “After seeing several professional YouTube talents hit the big time, you may have considered creating your own video podcast (or vlog) in an effort to stake your own claim in the world of Internet television. You may have a brilliant concept and have tried your hand at shooting video and editing. You’re pretty set, right?” Ryan then goes on to cover tips you may not have previously considered, such has working with a co-host and hiring an editor. Check out the post, then don’t forget to follow Ryan on Twitter at @FrugalGeek. Did I miss your post or a post by someone you know about video podcasting? Unintentional! Help me out by leaving a comment below with the link. I’ve been a guest on several podcasts. Sometimes, I feel like the red carpet is rolled out. Other times…not so much. 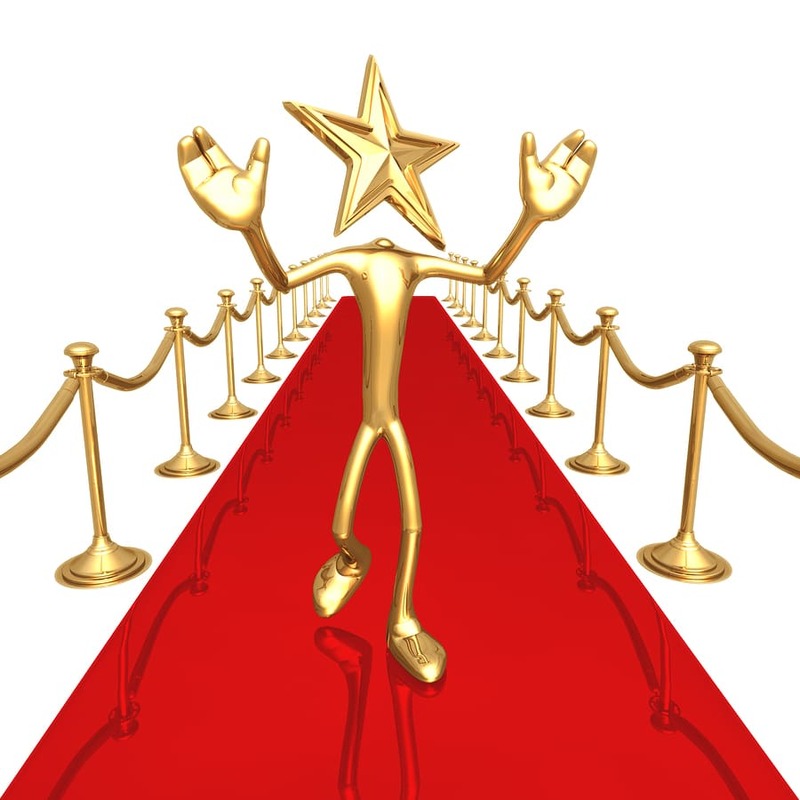 It doesn’t matter if your guest is an a-lister celebrity or a total newbie. They’re giving up their valuable time to be on your podcast; they deserve special treatment. A guest who feels special will be a lifelong fan. 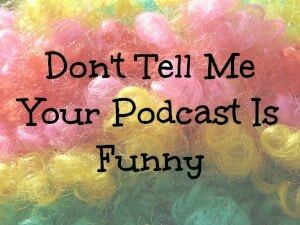 One who feels like an afterthought is probably not going to help promote your podcast, and they might even speak to others about how they’ve been treated poorly. This one seems like a no-brainer, but you’d be amazed at how some bloggers don’t do it. I was once on a podcast where it was very clear that the podcaster didn’t know much about my blogs or what I do. I felt like I wasn’t important enough for this podcaster to research anything about me, and feeling unimportant stinks. So become James Lipton for a hot minute and be thorough when researching your guest. Offer to meet via Skype first. Not every guest has time to meet with you via Skype before you record, but you can at least offer it. This is especially great for guests who aren’t on podcasts often and are feeling nervous about recording. Nothing says, “I don’t care about you” more than not following your guests on Twitter, Facebook, and other social networks. Work on your intro skills. 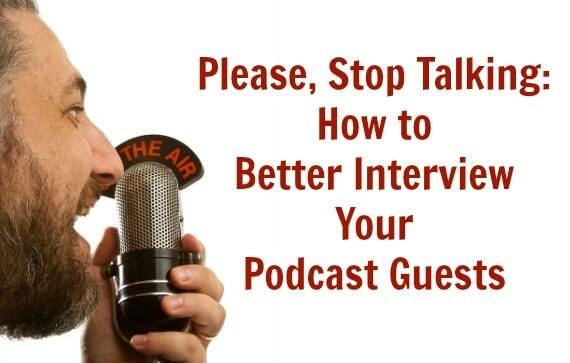 How you introduce your guest makes all the difference, and a lot of podcasters get this wrong. Don’t say, “I’ll let so-and-so tell you more about him/herself.” Like doing no research, it makes your guest feel like you don’t care who they are. Think about what you’re going to say about your guest as an intro and even practice it a few times. Don’t wing it. To continue with the last point, during your intro and throughout the episode, compliment your guest. Don’t blow smoke (people know when you’re being insincere), but definitely let all of your guests know that you’re impressed by their skills or accomplishments. Before you start, ask your guest how you can best help them at the moment. When researching your guest, you should get to know their various projects, but some people (most people) have a lot going on. Would they rather you focus on the work they’re doing at their full time job? Are they trying to promote personal blogs or other projects? Do you wish you’d help them gain more social followers? What do they have coming up in the future that you can promote? Ask your guest what their goals are so you can help him/her accomplish them. It is important to be considerate of your guests’ time. However, if you’re rushing the spot, it can make them feel unimportant. Once, I was on a podcast where episodes were typically 30-45 minutes, and some were even 60 minutes. My episode was only 20 minutes. It made me feel like the host didn’t think I was important enough for a full episode. So don’t rush it! When you ask someone to be your guest, talk about the time commitment so they are aware, and then use that time. It’s flattering when someone values my opinion enough to ask for advice. So, when you have a guest on your podcast, ask for it! Ask for future guest recommendations. Along the same lines, you can also ask guests for recommendations for other guests. You’ll want to do this after you’re done recording, not on the show. It always makes people feel important when they know something other people don’t know. What small piece of “insider information” can you share? Of course, you can’t trust every guest to keep his/her mouth shut, so be discerning in what you share, but even little things no one else knows yet, like who your next guest is, can make your current guest feel important. Make time for your guests on their schedule. It’s off-putting when someone invites me to be on their podcast and then tells me a time I need to be there. Unless it’s a live show, you should schedule recording at a time that is convenient for your guest, rather than demanding they work around your schedule. Give the episode some special promotion, but also schedule some time to promote other things the guest is doing as well. DO they have their own podcast? Do they write a blog? Are they launching a book? Give your guest some social shout-outs outside of just promoting your own podcast. Along the same lines, take a little time to support your guests’ projects. Beyond social promotion, take time to attend a live webinar they’re doing, buy their product, etc. Connect your guests with others. Relationships are powerful. Think about who might help your guests reach their goals. Can you connect these people? Don’t be too pushy, but when relevant, make email introductions that are beneficial to both parties. It makes people feel very special that you think of them and want to help them. Lastly, say thank you. Not just after the podcast recording is done, either. Send a special email or even a $5 giftcard on Facebook with a note. If you have the person’s home address, a handwritten card is even better. A little thank you can go a long way. How do you make your podcast guests feel special? Leave a comment with your tips! One of the most important things you can do as a new podcaster is submit your show to iTunes. If you, like me, are new to podcasting, however, you might not know where to go in the iTunes stores to get your podcast listed. Have you ever had a personal crutch or cliché that you used more often than you thought? It may have been something you didn’t realize until somebody brought it to your attention. Have you ever said, “Wow! I had no idea I did that all the time”? I’m here to tell you to stop it. A good coach will tell you what you need to hear rather than what you want to hear. You need to hear this. When you are interviewing anyone on your show, stop talking. Ask the question, then get out of the way. Let your guest shine. Here is an example. This is a recent question I heard during an interview. There are three points to remember when interviewing guests. If you keep these in mind, your guests will feel great about being on your show, and you will look like a brilliant host. Just stay out of your own way. Your job is to make your guest look great. You have invited your guest to your show to provide something you couldn’t provide alone. They have a story to tell. It is your job to help them tell it. Lead them to the punchline, climax or conclusion. You need to do your homework prior to the interview. You need to know what makes your guest interesting. What will make your guest engaging to your audience? Find that story, and help your guest bring it to life. The story will have a conclusion that you should already know. You’ve done your homework. You know what happens at the end. It is an art to help your guest tell that story without telling it yourself. Prior to their appearance on the show, guests on The Late Show with David Letterman are interviewed ahead of time by a show producer. It is that producer’s job to find the interesting story. If the producer discovers the guest was recently stuck on a roller coaster during a family vacation, Dave will tee it up. He will help his guest shine by asking, “How’s the family? Have you had time to get away with them lately?” Suddenly, the guest is off and running telling the hilarious story of the roller coaster. It looks like Dave got lucky. Dave just happened to stumble across a great vacation story. Reality is homework. Dave already knew what would make a great story. His homework (or that of his producer) revealed the gold. He simply helped his guest get there. Know the answer, so you can let your guest shine. Make your questions brief. If you want to make your guests look great, you need to give them room to spread their wings. Short questions will allow that to happen. Ask your short question, then stop talking. If you are talking, your guest is not. Your listeners have come to hear your guest. Let the guest talk. If your listeners have come to hear you, your guest isn’t necessary. Stop wasting everybody’s time. Many hosts feel the need to prove how much they know. Hosts want to display all of their knowledge to impress the guest. Unfortunately, this is a myth. By showing how much you know, you are only trumping your guest. If you appear to be the most knowledgable person on the show, your guest will feel uncomfortable. You will soon find it hard to get guests. When you ask brief questions that make it easy for your guest to tell great stories, your guest will look like a star. He will truly enjoy being part of your show. Your guests will want to return. Word will spread. Your show will grow. Finally, your audience will love the new information and engaging stories. Everybody wins when you talk less. Ask open-ended questions. When you ask questions that can be answered with “yes” or “no”, some guests will take the opportunity to answer “yes” or “no”. Your interview will go nowhere. Yes/no questions make it difficult for your guest to elaborate. When your guests tell stories, they become engaging. Stories are easy for your guest. Stories have natural flow. Elaborations take a lot of thought. Make it easy for your guest. Our host above started with, “Doesn’t money just really make you more of who you already were?” All of a sudden he is faced with a yes/no question. He has forced his guest to elaborate. In order to help his guest, he continues with another yes/no question. In fact, he follows with two additional yes/no questions. Suddenly, his guest has nothing left to say. The host knows that money simply makes you more of who you already are. He could have positioned his guest with, “How does money affect the core beliefs of an individual?” With that short question, the guest is now able to expound with his “more of who you already are” theory. The guest looks great. The host looks brilliant by somehow knowing that money affect the core of individuals. The listener gets to hear a great story. Everybody wins when you stop talking. It is your job to make your guest the star. That is the reason you’ve invited her to your podcast. She offers something to the show that you cannot deliver as well by yourself. Let her do it. Lob that ball to your guest, so they can hit it out of the park. You don’t need to prove how well you can pitch. The goal is to let your guest hit home runs. Make your guest look great. She will love you for it. Your listener will love you for it. You will learn to love yourself for it when your podcast begins to flourish. Ask the question, then get out of the way. Please, stop talking. I’m changing the names here to protect all involved. She says, “This next e-mail is from Ivan in Waterloo, Iowa”. It wasn’t really Waterloo, but some similar small town. The e-mail author also had a unique name. She continued on with the e-mail. It appeared Ivan works in his family business. His parents expect him to eventually take over the shop. However, Ivan has no interest in continuing on with this line of work. He as other aspirations. He was asking for advice with regard to telling his parents. Ivan is obviously concerned that his parents would find out before he had the chance to discuss it with them. The host said something to the effect of, “Let’s just hope mom and dad won’t hear this podcast.” How could any host just let that slide? On the surface, she just let Ivan down. But it goes so much deeper than that. There are six major issues with letting that disclosure remain part of the show. Ivan just revealed a deep, personal issue to the host. It is a conflict he has between his loyalty to his parents and his own dreams. The problem has obviously created some turmoil in Ivan’s life. Why else would he be e-mailing for help? The seriousness of the situation is obvious when he asks for anonymity. He surely doesn’t want his parents to be aware of his dilemma until he can explain it on his own terms. If he didn’t have that concern, he wouldn’t have asked to keep his name secret. By revealing Ivan’s name, the host just shattered any trust she had built with him. Ivan feels betrayed. He can no longer trust that the host will have his best interest at heart. Everything the host has worked to build was just shattered with Ivan. 2. How Many Customers Will The Host Actually Lose? It is difficult to determine how far-reaching the host’s act will be. When it comes to word-of-mouth, there are as many theories as there are marketers. All agree that an upset customer will tell far more about their experience than a pleased fan. Pete Blackshaw’s book “Satisfied Customers Tell Three Friends, Angry Customers Tell 3,000: Running a Business In Today’s Consumer-Driven World” describes the danger of upsetting clients. The power of social media has allowed upset people to share the story with ease. In today’s connected world, word spreads faster than ever. It is obvious to see how the host may lose Ivan as a client. Under the surface, the damage could be much worse. By the time the damage to the overall business is known, it will be far too late. There is probably a slim chance that Ivan’s parents will hear the podcast. Podcasts are still a niche medium. Unless Ivan turned his parents onto the podcast, mom and dad probably did not stumble across this one particular episode among the hundreds of thousands of podcasts available. This show doesn’t need to be heard first person by Ivan’s parents to be damaging. Maybe somebody else in Waterloo, who knows Ivan’s parents, heard the podcast. It is possible somebody in the same industry familiar with mom and dad heard the show. Word can travel to the business owners in many ways. The show lives forever on the internet. It isn’t hard to imagine the show eventually finding its way into the hands of Ivan’s parents. Simply assuming they won’t hear the show is ignoring reality. Those who heard the show will think twice before they e-mail the host regarding a sensitive subject. If the host was flippant with respect to Ivan’s identity, why would any listener think he or she would be treated differently? Most listeners of the show will find it hard to trust the host with their information. If I can’t trust you with an e-mail, how can I trust you with my business? On the surface, the anonymity of the e-mail seemed inconsequential. Considering how the action affects the other areas of the business, it is easy to see how this becomes a much bigger issue. People do business with people they can trust. If it appears you do not have your client’s best interest at heart, it is quite likely they will be looking for a new supplier. Trust is everything. As is often said, it takes a lifetime to build a reputation and minutes to ruin it. An action like this offers quite a blow to the host’s reputation. Rebuilding it will take a long time. The damage to the business could be serious. This entire issue could have been avoided if the host had simply edited the audio. That is the saddest part of this entire mess. Had she taken the time to edit the intro of the e-mail, the trust would have never been tarnished. The show wasn’t live. There was no live studio audience. There was no reason the audio couldn’t be changed after the fact. I realize the podcast is not the primary function of the host’s business. The show is just a part of the overall marketing plan. The host does the podcast once a week as a way to continue to spread the message. That does not excuse the issue. If the host cannot be trusted with a minor issue like podcast content, she cannot expected to be trusted with larger pieces of business. As you move forward with your podcast, remember that your show will exist for quite some time. Be careful with the content you choose to include. In most every case, you do not get hurt by what you leave out. Be completely confident with your content before you post your show. Be sure you do not damage your reputation by one lapse in judgement. Your entire show and corresponding business is built on that trust. Protect your trust with everything you have. Don’t tell me your podcast is funny. Being funny is not easy. It is also not something everyone should try. Some people are naturally funny. Some people are not. Those are the people who should not try to be funny. There are few things less entertaining than someone trying to tell you they are funny. You never hear great comedians saying, “Thanks for coming out tonight. I’m funny.” If a comedian is truly funny, there is no reason to tell the audience he is funny. You ruin your credibility when you tell me you’re funny. It is like saying, “To be honest with you …” When I hear that, I instantly think, “Have you been dishonest with me up to this point?” Don’t tell my you are honest. Just be honest. Don’t tell me you are funny. Just be funny. Average television hosts will often say, “We have a great show for you tonight.” Have you ever heard a host say, “Tonight’s show is pretty average, but thanks for showing up anyway”? There is no need to tell me the show tonight is great. That is assumed. If you feel the need to tell me you are going to be funny, you probably are not as funny as you think. Let the audience decide if your content is actually funny. Saying you’re funny does nothing to make your content any funnier. This rule holds true for laughing at your own jokes. When you laugh at your own jokes, it is as if you are telling me you think you are funny. Some of the best comedians deliver their jokes with a straight face. That makes the joke even funnier. If you say something off the cuff that makes you laugh sincerely, that is natural and perfectly acceptable. When you are trying hard to be funny and simply laughing to encourage others to laugh, you cease being funny. You become the annoying guy at the party that keeps trying to be funny when the rest of the guests are tired of the routine. Sitting alone in a room talking into a microphone to an audience you cannot see is one of the most difficult things you’ll attempt. You have no idea if the audience finds you amusing. It is nearly impossible to tell if the audience is understanding what you’re saying. Are they crying with you? Do they find your material funny? Is the audience as upset as you are? It is hard to tell. Every host faces the same dilemma. You can only trust yourself. If you are passionate about what you’re saying, the audience will follow. You don’t need to tell them to be angry or sad. You don’t need to tell your audience to laugh. You don’t need to hold their hand and lead them. If you have faith in yourself and believe what you are saying, they will get it. Trust your words. It takes practice to be confident enough to deliver your content without reacting as if you are also the audience. Hold back. Use restraint. Pause where you think the laughter would be … then move on. No need to acknowledge the laughter. No need to laugh yourself. Just move on. When you simply move on, you allow the audience to decide if your content is amusing. Either they laughed or they didn’t. If they laughed and you moved on, perfect. Your joke worked. If they didn’t laugh and you moved on, perfect. You didn’t make reference to laughter anyway. If you are laughing and your audience is not, you are laughing at a joke they didn’t find funny. You sound silly. If they are laughing at a joke and you are not, they are entertained and you are now focused on the next entertaining piece. Nothing lost. The audience doesn’t expect you to laugh at your own joke. If you didn’t think it was funny, you wouldn’t have said it in the first place. Let’s back up a step. If you’re not funny, that’s ok. You don’t need to be funny. You only need to be entertaining. Entertaining doesn’t necessarily mean funny. Think about movies. Not all movies are written to be funny. On the other hand, all movies are written to be entertaining. Some are action flicks. Some movies are romantic. There are scary movies and suspense thrillers and mysteries. There may be some naturally funny scenes in the movies. But, not all movies are funny. Not all podcasts need to be funny either. They only need to be entertaining. Know your limitations. If people find you funny, then knock yourself out. Be funny. Make people laugh. Some people have that talent. But, if you’re not funny, find another angle. Don’t try to be funny if you are not naturally funny. You’ll just become annoying. How do you know if you’re funny? People that love you will tell you if you are funny or not. Find people who love you enough to tell you the truth. A causal friend will not admit you are not funny. They don’t want to hurt your feelings. Casual friends won’t tell you that you look fat in those jeans, they hate your new haircut or you are not funny. Only people who have your best interest at heart will care enough to hurt your feelings in order to save you from yourself. You can determine what is funny by listening to your show with others present. Don’t tell them where the funny parts occur. Just notice if and when they laugh. Over time, you’ll get a feeling of which parts are truly funny. 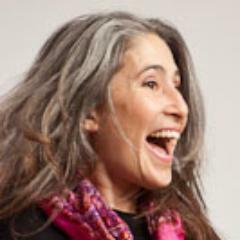 To figure out what is funny, you could also hire a coach. When you’re paying a good coach, you’re paying them to tell you the truth. A poor coach will tell you what you want to hear, so you don’t fire them. A good coach will tell you the truth. Your coach should tell you which parts are funny and which are not. You should also learn how to spot those areas, how to improve your show to make it more entertaining, and whether or not you should even attempt to be funny. A good coach will go beyond pointing out your weaknesses and help refine your skills, abilities and talents. The occasional e-mail from a listener that says you’re funny is NOT a way to determine if you are funny. 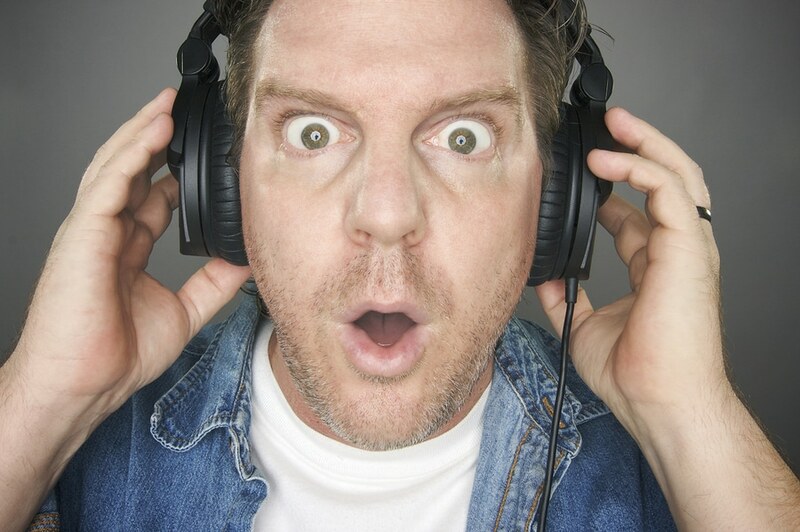 Three e-mails do not constitute a valid sample when you have hundreds or thousands listening to your show. Those e-mails only tell you three people find you funny. Your mom will always find you funny. That doesn’t mean it’s true. You will never get an e-mail that says, “Hey, that line about the piano that you laughed at made me chuckle.” People don’t have time for that. If you are unfunny to the point of annoying, you may begin to get hate mail. It takes a lot to get that kind of mail. Don’t take hate mail too seriously. Armchair critics are usually not very talented. They can’t do it, so they criticize it. Ignore them. I’ve coached radio hosts for almost 20 years. One of the most difficult pieces of coaching is getting talent to trust themselves. They learn by doing and trying and failing and trying again. Over time, after reviewing many, many shows, the trust slowly builds. Confidence grows. Shows become stronger. The audience becomes larger. The influence of the host becomes greater. That’s when your show becomes truly powerful. As you record your podcast, be confident in your content. Just put it out there. Trust that people will find it entertaining and amusing. Laughing at it won’t make it funnier. It also won’t make me laugh just because you’re laughing. Just be funny. Or don’t. But whatever you do, don’t tell me your podcast is funny. Editor’s note: If you’re looking for some funny podcasts for inspiration, try this list of the top funniest podcasts as picked by comedian Jordan Cooper.